CT to Offer BRS Parachutes as Standard in U.S. The German producer of the sleek CT recently signed an agreement with BRS Parachutes to install the rocket-deployed emergency system as standard equipment. More CT info. Flight Design of Germany -- in cooperation with U.S importer Flight Design USA -- just signed an agreement with emergency parachute maker, BRS, to provide the 1350 LSA ballistic system on all CT aircraft sold in the USA. The importer, a related business of Flightstar Sportplanes, has long been a supporter of such safety 'chutes and will now offer the BRS system as standard equipment. The parachute company likens the move by Flight Design as similar to Cirrus Design, which produces the best selling SR-22 GA airplane...that also comes standard with an airframe parachute. Use of the systems has resulted in the saving of 181 lives to date, BRS says. Only one other LSA company currently encourages parachutes with each airplane sale: the StingSport available from SportairUSA. The Arkansas-based company is the U.S. dealer for Galaxy parachute systems. Flight Design of Germany — in cooperation with U.S importer Flight Design USA — just signed an agreement with emergency parachute maker, BRS, to provide the 1350 LSA ballistic system on all CT aircraft sold in the USA. The importer, a related business of Flightstar Sportplanes, has long been a supporter of such safety ‘chutes and will now offer the BRS system as standard equipment. The parachute company likens the move by Flight Design as similar to Cirrus Design, which produces the best selling SR-22 GA airplane…that also comes standard with an airframe parachute. Use of the systems has resulted in the saving of 181 lives to date, BRS says. Only one other LSA company currently encourages parachutes with each airplane sale: the StingSport available from SportairUSA. The Arkansas-based company is the U.S. dealer for Galaxy parachute systems. Not very many hangars in the U.S. have this many of one make and model LSA filling them. Six color-matched Flight Design CTsw models are ready for Sun 'n Fun. Lots more fun than a military build-up but bearing some resemblance, companies across the USA are preparing for Sun 'n Fun starting Tuesday the 4th. I was on the grounds today and it already looks busy. I also traveled to Lockwood Aviation at the Sebring, Florida airport. 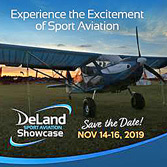 A busy crew was assembling airplanes from Flight Design and Tecnam in preparation for the show in nearby Lakeland. Other companies set up at South Lakeland Airpark -- the relaxed strip a mere three air miles from Sun 'n Fun (where I do the majority of my flight evaluations). Today, I got a chance to compare a late-model 2005 CTsw with the 2006 model; look for the full report in EAA Sport Pilot for June 2006. Tomorrow, the folks at Sport Aircraft Works are hosting me to fly the Parrot, Sport Cruiser, and Mermaid from Czech Aircraft Works. You know..."Tough job but somebody has to do it." Lots more fun than a military build-up but bearing some resemblance, companies across the USA are preparing for Sun ‘n Fun starting Tuesday the 4th. I was on the grounds today and it already looks busy. I also traveled to Lockwood Aviation at the Sebring, Florida airport. A busy crew was assembling airplanes from Flight Design and Tecnam in preparation for the show in nearby Lakeland. Other companies set up at South Lakeland Airpark — the relaxed strip a mere three air miles from Sun ‘n Fun (where I do the majority of my flight evaluations). Today, I got a chance to compare a late-model 2005 CTsw with the 2006 model; look for the full report in EAA Sport Pilot for June 2006. Tomorrow, the folks at Sport Aircraft Works are hosting me to fly the Parrot, Sport Cruiser, and Mermaid from Czech Aircraft Works. Sun 'n Fun 2005 started off with a bang when Flightstar Sportplanes' Tom Peghiny heard the Flight Design CT he imports was one of the first Special Light-Sport Aircraft to be given its airworthiness certificate. (S-LSAs are fully built and can be used for training or rental.) CT regional dealer Tom Gutmann of Airtime Aviation, Inc., was the recipient of a process Peghiny graciously called "the effort of many people." Watch for full coverage of this benchmark achievement in aviation magazines. The CT2K serves a different market in Europe, where amenities like leather seats are popular on aircraft that cost $50,000 or more. The CT2K's cockpit measures a generous 49 inches wide and offers small floor storage compartments under your calves that can be accessed in flight. Note the position of the BRS ballistic chute handle on the aft bulkhead. Above and below - The CT2K's exterior is nothing if not smooth and shapely. The gullwing doors are large and open wide helping entry and exit for all pilots, and they secure on the bottom of the wing. Closed, they add to the sleekness of the design. Door locks are standard on the CT Cruiser. Even with its main spar running overhead through the cockpit, the CT2K offers skylights that illuminate the cabin and provide extra visibility in turns or when checking for traffic. Note the compass mounted on the leading edge spar. The CT2K features an uncluttered instrument panel that leaves room for a few more gauges if you like. The FlyDat panel, which comes on the CT Cruiser, is roughly similar to United States-manufactured electronic instrumentation packages. Small map pockets are available on either side of the panel. Cargo compartments that can hold up to 55 pounds each are available on both sides of the aircraft. On the passenger side, the cargo door also allows access to the ballistic chute installation. Flying several hundred miles in a CT2K is a different experience than flying in many ultralights. 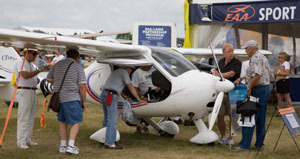 Tom Guttmann, who brought this CT Cruiser to EAA AirVenture Oshkosh 2002, flew in from Tulsa, Oklahoma, and said the airplane cruised comfortably at an average speed of 120 mph. Because the light-sport aircraft category is not yet finalized, Tom's been flying this CT2K on a reciprocal agreement between FAA and the aeronautic authority of the Ukraine, where the aircraft is manufactured. Accordingly, he's able to fly it with the faster two-blade Neuform propeller as he's not restricted to the top speed limitations for the proposed light-sport aircraft category. A Bold Yet Efficient Euro-Designed Light-Sport Aircraft Flightstar imports the CT2K in anticipation of the light-sport aircraft rule. As FAA’s proposed light-sport aircraft rule looms ever closer, one of the first aircraft that will likely fit the field and be recognized by American pilots is Germany’s CT. For the U.S. market, and with a nod to the new millennium, producer Flight Designs has renamed the model as the CT2K. “CT” stands for Composite Twoseater. It is certainly not alone in being “white, glass, and built overseas,” a theme that emerged at EAA AirVenture Oshkosh 2002. But the design was a leader in the move from tube-and-rag ultralights to the modern microlights of Europe. And it distinguishes itself in a number of ways that we’ll explore in this review. My experiences flying the CT on two occasions were both with Europeanbased check pilots. The most recent opportunity was with Allistair Wilson, formerly a major with the Royal Irish Regiment in Northern Ireland. Allistair has since relocated to the United States where he is working with former CT importer, Rollison Light Sport Aircraft. I first flew the CT not long after its release while attending an air show in southern France, accompanied by French importer, Pascal Chanéau. Between my first and second flights in the aircraft, Flight Designs altered the CT to better address customer comments. These two CTs weren’t identical. 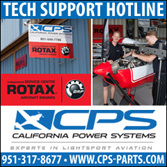 Reviewing CT2K Features As with virtually all the light-sport aircraft (LSA) candidates, the preferred powerplant is one of the two Rotax models, either the 80-hp 912, or the 100-hp 912S. This may be the perfect engine for aircraft like the CT2K, but it comes with a price tag and complexity not familiar to many American ultralight enthusiasts. Most experts acknowledge that the 912 is a complicated engine with many parts, far more so than any two-stroke engine used to power ultralight aircraft. However, you shouldn’t have to replace those parts very often. For example, Allistair maintains that if you change the oil and the spark plugs faithfully at 200-hour intervals, the 912 will run “pretty much forever.” That longevity, in combination with its better fuel economy and lower noise output, goes a long way in balancing the sharply higher cost of the 912 series. To Yankee pilots, CT2K’s cantilevered, all-fiberglass (and carbon fiber) structure also seems foreign compared to the more common aluminum tubing structures that have dominated U.S. ultralight aircraft. The CT’s glass and carbon materials are widely used on American homebuilt kits like the Lancair, Pulsar, and Velocity aircraft. Apparently, composites also will be common on LSA, based on what we’ve seen in recent years. As shown in last month’s story about European aircraft, literally dozens of aircraft as beautiful as the CT2K are being built in European factories. Many of these LSA candidates have already passed some level of certification and are being built ready-to-fly. This may give designs like this a leg-up once the LSA rule is passed into law. Certainly, the CT2K is well positioned within this new market segment. But there are large differences in price—$50,000 and more for European LSA compared to $15-$25,000 (or even less!) for American-built ultralight kits. Some pilots will be willing to pay for fully assembled, deluxe LSA; others will want the economy offered by more reasonably priced kits. Fortunately, FAA’s new rule allows for both—though even current kits may likely rise in cost somewhat to accommodate the mandatory effort required to meet consensus standards. (Note: The requirement for ultralight trainers to be replaced by “certificated” LSA takes effect only after a three-year transition period beginning at the passage of the new rule. 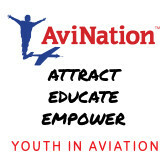 EAA and others have asked the FAA to extend that period to ease the economic hit on instructors.) 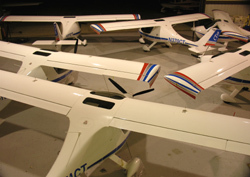 When LSA becomes a reality, Flightstar Sportplanes, CT2K’s new importer, will be ready to serve American interests in that aircraft, while continuing to build and sell their line of Flightstar ultralights and light aircraft. Flightstar is no newcomer to importing. Though best known for their line of ultralights like the Flightstar II SL and SC, the company once imported the Icarus- Comco C-42, which they renamed the Cyclone. (In an interesting role reversal, Rollison now imports the C-42 and no longer represents the CT.) Flightstar’s sibling company, H-Power, is the importer of the Japanese HKS four-stroke engine that continues to find favor among light aviation enthusiasts. Flying the CT2K My general flight experiences with the older and newer CT models gave duplicate impressions of a solid and sturdy aircraft. Even when a strong thermal threw me against the shoulder strap during one flight, nothing appeared to flex or strain. Such anecdotal information is far from scientific, but with over 200 CTs flying worldwide, the model enjoys a good safety record. Starting the aircraft is general aviation (GA)-like; you engage a starter motor and the 912 fires; no yanking a rope. And again, as with GA planes, you start watching gauges. When flying with the Rotax 912, Allistair prefers to wait for takeoff until the oil temperature is up to 120 degrees, at which time the oil pressure will drop, a normal action, he reports. France’s Pascal did likewise, waiting for a 50°C water temp before takeoff. Since this equates to 122°F, it appears they’re both reading the same engine manual. CT2K’s cockpit has comfortable, supportive seats with four-point shoulder and seatbelts. It also has an array of knobs and switches. As I looked over the flight control system I observed that flaps have positions of reflex as well as positions of flaps down. Reflex, rare though not unheard of on American designs, allows improved performance at cruise speeds by curving the trailing edge upward rather than downward. Allistair pointed out that flap settings from -12 to +40 degrees are available. Few American ultralights or light planes have this range. In a center console, the CT2K has other levers (from aircraft’s right to left): hand brake lever with parking brake lock, throttle, starter lever, and trim lever. Aft of the CT2K’s rear cabin bulkhead, Flight Design mounts the ballistic parachute handle often supplied on this aircraft. In fact, the CT design is distinguished in BRS parachute history for the documented use of a BRS parachute as Save 100. This high-speed (nearly 300 km/h or 180-plus mph!) deployment occurred when a test pilot did his job of pushing the limits of the aircraft. He ultimately shed the wings—talk about beyond-the-envelope testing! Up front on the instrument panel, my flight test model CT featured a nice array of instrumentation, including an air speed indicator (ASI), altimeter, vertical speed indicator (VSI), slip indicator, Fly- Dat electronic engine panel, and intercom unit (the latter two optional). A compass was mounted above, on the spar carry-through in the cabin. Fuel quantity could be seen through curved clear tubing at the wing root. With the engine properly warmed up we started to taxi. CT2K’s brakes are hydraulic and work quite effectively, making the aircraft precise to taxi. Visibility was broad in all directions except upward; independent brakes made it easier to twirl around 360 degrees prior to takeoff. Creature Comfort The CT2K is a fully enclosed design, which may please many buyers, and it boasts easy entry. The doors swing up gullwing-style, where they clasp on a secure fitting fastened to the bottom of the wing. The door sill is level and sturdy enough to use as a support during entry and exit. You simply turn around, sit down, and swing in your legs. CT2K’s doors are held open with the same steel latch mechanism that holds the doors closed in flight. You reach out to the back corner of the door to release the latch after entry, though I wasn’t able to do so while strapped in place. Once those big, convex doors are closed, CT2K’s wide cabin becomes obvious, offering 49 inches of lateral room. Three to four inches separated a lean Pascal and me in France though less room remained between a bulkier Allistair and me. The CT2K allows 55 pounds of baggage on each side behind the pilot and passenger. Dual exterior doors access the area so you can’t use the space for inflight items. Fortunately, an interior floor compartment on each side offers a small but handy area for stuff you may want while aviating. Flight Design claims you can carry 660 pounds inside the airplane, a rather amazing payload for an aircraft grossing at 1,232 pounds (the limit described in FAA’s LSA proposal). I didn’t get to examine weight and balance documents to prove that claim, but there’s no doubt that the CT2K is a very spacious aircraft. The CT2K offers leather-clad seats that are adjustable in-flight both fore and aft. You pull a wire to allow repositioning within a several-inch range. The seat back also adjusts via a webbing strap, but you’ll want to perform this adjustment on the ground. While test flying the aircraft during a hot and humid EAA AirVenture, the CT2K was a little warm because it doesn’t have any swivel ventilation ports like many American kits. Europe tends not to be as warm as the United States, so improved ventilation will no doubt come with the importer’s input. Fairly small skylights are installed between the nicely finished spar carry through. Despite their smaller size, dictated by the cantilever-wing construction, the skylights aided visibility in steeply banked turns. In shallow turns though, they did little to assist lateral vision. The CT2K has high ground clearance, which is valued by many pilots but, like four-wheel drive vehicles, this quality is rarely used outside of those operating in the bush. This is a sophisticated aircraft that you are unlikely to land among desert rocks very often. Damage to the fiberglass and carbon aircraft will not be something you’ll repair as easily as a bent landing gear tube on a Quicksilver. Pascal recommended an 80 km/h (50 mph) approach speed to landing, which puts the speedy CT2K right in the range with many ultralights. The phrase “Fifty is Nifty” for landing speeds works just as well for CT2K as it does for many mainstream U.S. ultralights. Of course, flaps are essential to maintain such low speeds. Sweet Handling Unless you prefer your aircraft to have “handling with feedback” (another way of saying, “not so light handling”), you’ll like CT2K. It exhibits very light and responsive handling. Dutch roll coordination exercises went well almost immediately, though always keeping the ball centered will take some experience (a similar comment applies to the Kitfox and other kit-built designs). Flight Designs’ engineers have clearly done their homework and fiddled with the linkage as the CT2K possesses well-balanced controls. I found precision turns to heading were easily achieved. On the downside adverse yaw is significant, as it is on many of the more responsive ultralights. During my first flight in southern France, Pascal and I got the earlier CT down to 60 km/h indicated (37 mph) in slow flight, at which time the controls became sluggish but still workable. This is admirably slow, but many Yankee ultralights are willing to fly more controllably at such slow speeds. In addition, the earlier CT proved very light in pitch, enough that it took familiarization to not overcontrol. Rollison had first represented CT2K, as it was sold in England by his trike supplier, Pegasus Aviation. After work by aerodynamicist Billy Brooks of Pegasus, the CT2K has lost this pitch sensitivity. In fact, I believe handling of the CT2K is somewhat tamer than the earlier model I flew. Most pilots will prefer it, I believe. Indeed, on initiation of turns in the French registered CT, I had to use a little high side rudder pedal movement to coordinate the turn entry. Once in the turn itself, it coordinated nicely. The newer, British-refined CT2K model seemed to show better in-turn behavior. The CT2K has passed muster with certifying organizations. Both German and English certifications have been won— and meeting the British BCAR-S rules is quite challenging, perhaps even more so than the program many expect under the LSA consensus. In my trials, CT2K showed normal stall response, had proper longitudinal response, and its response to throttle changes were positive. The evaluation CT2K was fitted with a parachute, which I appreciate, though the activating handle is rather awkwardly located. You must twist tightly around in your seat in order to reach the handle, and most occupants will only be able to reach the handle with one hand. Other changes were made between my first and second CT flights. In the French aircraft, flaps were manual and had five detent positions (-4°, -8°, +15°, +20°, and +26°). Contrarily, CT2K now features electric flaps with an indicator light showing -12°, +15°, +30°, and +40°. Because they are electric, no detents keep you from setting an infinite adjustment to your liking. In France, I saw a top speed of about 230 km/h (144 mph) on an engine that did not rev up as high as it should, according to Pascal. It had more speed potential, he said, but the prop choice is critical. Former importer Rob Rollison wasn’t sure the speedy CT2K could be made to stay within the proposed LSA rule. Yet installing a three-blade Ivo prop seemed to do the job. With that prop, it hits the wall at around 130 mph. The two-blade Neuform prop that is popular in Europe allows about 140 mph, according to tests in England after a static source was fitted. One of FAA’s challenges under the LSA regulations will be to keep owners from refitting their planes with faster props. Most owners will not want to invalidate their aircraft’s certification. But the CT2K slips through the air easily at 120 mph, with lower power settings, lower noise, and reduced fuel usage. Wheel fairings are standard equipment, which help keep CT2K clean and efficient. On approach to landing with the engine at idle thrust, I was very impressed with the glide angle. To CT or Not to CT I love American ultralights, simple and fun. I’d also rather pay for the much lower-cost machines we’ve been enjoying for two decades. But, the proposed sport pilot/light-sport rules will offer new flying options for those who might want something just beyond ultralights. The CT2K is priced at two to three times the average Yankee ultralight kit, but it’s aimed at a different market, or at least a buyer ready to “move up” from simpler and slower flying machines. If that describes your pleasure, you can buy and fly the CT2K for $55- $65,000, depending on how you equip it—a full option list can help you unload excess cash. Simple or fully loaded, CT2K will put a large smile on new owners. The CT Cruiser, as flown, comes with droop tips, the FlyDat digital instrument, gear leg fairings, cabin heat, parking brake, door locks, strobe and position lights, and a 912S, 100-hp engine. Our test model had a ballistic parachute, leather seats, and the Ivo prop, which helps keep the CT2K within the 132- mph speed limit proposed for LSA. To have all this, plan to spend close to $63,000 delivered ready to fly. One of many benefits proponents of the LSA rules speculate about is financing (others are insurance, airport access, greater utility, among other positives). Using my handy financial calculator, I can envision a monthly installment payment of $982, assuming an 8 percent finance cost spread over seven years. For those not in the $60K-plus price range, the standard model CT Sport is no slouch, and most ultralight enthusiasts would love its equipment list. You can lower your investment by over $10,000 for the standard CT still equipped with a parachute and using the 80-hp 912 engine. That’s still more than twice the average cost of an American ultralight of the late nineties or early ’noughties,” but these comparisons are apples and oranges. If $55-$63,000 is too much for you, then you will still have many choices of kitbuilt aircraft including Flightstar’s original aircraft—whose line presently runs under $20,000. It’s probably best to look at this new aircraft this way: The CT2K is a well-equipped aircraft that will offer you comfortable cross-country travel for far less than a certificated GA aircraft or many homebuilts. For those with the cash or those willing to sign finance papers, the CT2K looks like a winner to me. It flies sweetly and swiftly and has features to compare with many modern automobiles. For all it offers, the price tag really isn’t out of line. You’d be well advised to fly one when you can and make your own judgment. I predict a lot of smiles after such an experience. Notes: *Wing loading with the 912S (100 hp) engine is 12.3 pounds/square foot. Standard Features 80-hp Rotax 912, quickly removed wings, 4-point belts, 3-color paint scheme, 2 baggage compartments, ASI, altimeter, tach, oil gauges, CHT, and numerous amenities and appointments suiting a $60,000 aircraft. Options 100-hp Rotax 912S, leather seats, additional instruments and avionics, BRS emergency parachute system, skis, Full Lotus floats, special paint and graphics. Construction Fiberglass airframe reinforced with carbon fiber. Manufactured in Eastern Europe for a German-owned company; distributed by U.S.-owned Rollison Airplane Company. Pros - Sleek, cantilevered design not seen in ultralight circles (more similar to U.S. homebuilts). Excellent combination of features and attributes: roomy, speedy, well appointed for American market. Built around 80-hp Rotax 912 engine. Cons - Fiberglass and carbon repairs are said to be not difficult, but experience is needed with these materials. At present, the test CT is the only one operating in America. Pros - Test CT was loaded with extras. Flaps have usual down positions but also up or reflex positions which can be used to enhance cruise performance. Electric start standard with Rotax 912s. Fuel capacity is large. Hydraulic brakes are via lever; work well. Cons - The CT isn't missing any systems you probably want, but all more complex aircraft require more familiarity to handle competently. Engine accessible only after cowl removal. Brakes don't assist ground steering. Pros - Huge roomy cabin 49 inches wide. Interior compartments accessible in flight. Wide doors for easy entry/exit. Comfortable, supportive seats with 4-point belts. Seats adjust both bottom and back rest. Panel easily reached. Cons - I struggled to unlatch the gull-wing door for closing when securely belted. Seemed somewhat noisier than another European 912-powered CT I flew in France. No other negatives to this wonderful cabin. Pros - Very straightforward handling for anyone used to conventional tri-gear operation. Brakes were quite effective. Visibility was very broad (except upward). Large ground clearance. Quite precise to taxi. Cons - Rather stiff suspension (mostly noticed on turf runway). No aft window or visibility. Pros - Responsive controls allow normal crosswind operation. Glide seemed quite strong, an asset in an engine-loss situation. Flaps help control glide path and slips are reasonably effective. Large ground clearance will help if you must land off-field. Cons - In France my landing was good. At shorter airstrips you'll need practice to handle the the CT's long glide; you must plan approaches well. Takeoff roll is long (compared to ultralights), thanks to smaller wing and higher weight. Pros - Very light and responsive handling. Dutch roll coordination exercises went well almost immediately (though always keeping the ball centered will take some experience). Well balanced controls. Precision turns to heading were easy. Cons - Pitch is light enough that some pilots may not feel comfortable. Coordination will take some time to optimize. Adverse yaw is significant. Pros - Very speedy design. Even with an incorrect prop, I saw speeds of more than 140 mph (though for U.S. market, the CT will be propped down). U.S. model with IvoProp propeller didn't exceed 132 mph, per GPS runs. Slows down under 40 mph. Cons - Climb not as strong as expected, perhaps optimized for European high-cruise speed desires. 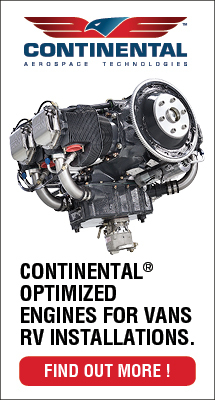 Pros - Fitting both German and English certification systems, the CT has normal stall response, longitudinal response, and throttle response - a benefit of such programs. Four-point seat belts are standard. Cons - Slippery airplane that may be more than some pilots want. Fitted with a parachute, though with the activating handle awkwardly located in case of emergency (see article). Pros - The CT has German certification, and thanks to Pegasus, approval under the tough English system. Though $60,000 is a lot of money, the CT is a well equipped model for far less than a certified general aviation aircraft or many homebuilts. Cons - CT kits are currently unavailable (European sales allow fully built models). Company and plane are not well known in the U.S., which could affect resale ability. A Bold Yet Efficient Euro-Designed Light-Sport Aircraft Flightstar imports the CT2K in anticipation of the light-sport aircraft rule. As FAA’s proposed light-sport aircraft rule looms ever closer, one of the first aircraft that will likely fit the field and be recognized by American pilots is Germany’s CT. For the U.S. market, and with a nod to the new millennium, producer Flight Designs has renamed the model as the CT2K. “CT” stands for Composite Twoseater. It is certainly not alone in being “white, glass, and built overseas,” a theme that emerged at EAA AirVenture Oshkosh 2002. But the design was a leader in the move from tube-and-rag ultralights to the modern microlights of Europe. And it distinguishes itself in a number of ways that we’ll explore in this review. My experiences flying the CT on two occasions were both with Europeanbased check pilots. The most recent opportunity was with Allistair Wilson, formerly a major with the Royal Irish Regiment in Northern Ireland. FLAPS & MORE - Note that when the CT's flaps deploy, both ailerons also droop slightly to amplify the effect. Thanks to plenty of square area, the flaps remain effective down to stall speed. GORGEOUS SEATS - Very few light airplanes use leather seats, but I found them enjoyable. Four-point seat belts are standard and a ballistic parachute is an option. Note the pull handle between the two seat backs. BAGGAGE COMPARTMENTS - Check-out pilot Jonathan Carter shows the baggage door opening. With a compartment on each side the CT can carry up to 110 pounds (though each flight should prepare a weight-and- balance calculation). EMPENNAGE - Since the first CT I flew, the underside ventral fin was added to further improve directional stability at higher speeds. Using this tail, the CT exhibits light, enjoyable handling. EASY ENTRY - Ultralight Flying! editor in chief Scott Wilcox agreed to demonstrate the CT entry. You merely sit down in the seat and swing in each leg. Scott properly shows a protective hold on the joystick during the procedure. CONSOLE CONTROLS - Nicely organized in the center of the two occupants are, from right to left, hand brake to both main wheels, throttle with friction lock, choke lever (without a handle to lessen miscontrol) and trim. Note the fuel cutoff, the handle of which covers the key switch so you cannot take off with the fuel lever in the shut-off position. CANTILEVER & CARTER - Jonathan Carter smiles with satisfaction in his flying of the CT for importer Flightstar Sportplanes. Note the full cantilevered wings for this design. LARGE PANEL - Though this CT hasn't used all the space, plenty of room is available for radios or additional instruments. Using the EIS, the CT saved panel space yielding this uncluttered appearance. SMOOTH & FIXED - Even with its legs hanging out, the CT offers a sleek shape for the wind to pass. The clean fiberglass work is done in the Ukraine from a German design. UPPER CABIN - The CT cockpit is roomy and airy. As this view indicates, it is also nicely finished throughout in an easily cleaned interior that doesn't add weight with interior panels or carpeting. In the fall of '01, I wrote in Ultralight Flying!, "The CT is the tip of an iceberg, in my opinion." When I flew that first CT in the USA, few Yankees had seen the aircraft. I felt the German design represented the beginning of a flow of European aircraft coming to America. What a difference a couple of years make! Thanks to adept and steady promotion, Americans may best identify the coming breed of proposed Light-Sport Aircraft by pointing to the Flight Design CT2K. While this means no disrespect to trikes, tube-and-rag ultralights, or powered parachutes, the CT's unusual, smoothly-contoured shape is now well known to many Americans. Though the brand is fabricated in the Ukraine and assembled in Germany, it crosses the Atlantic as a prototypical candidate for FAA's proposed Light-Sport Aircraft category. Rollison Light Sport Aircraft imported the first U.S.-based CT I flew. The design is now brought in by Flightstar Sportplanes and HPower HKS engine honcho Tom Peghiny. Flightstars and CTs display well together at airshows, enough so that brand-new FAA Administrator Marion Blakey chose to fly with Peghiny in the CT at AirVenture '03. When FAA drops the go flag and launches Light-Sport Aircraft into the skies above America, one of the first to gain approval and attract customers will surely be the CT, short for "Composite Two-seater." This is my third time to fly the CT, including one time before it was the British-certification-inspired CT2K. I flew in the spring of '03 with Jonathan Carter, a highly qualified pilot who often helps Flightstar Sportplanes at airshows. 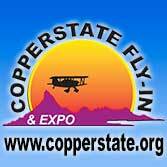 Why Flightstar Imports the CT Many Ultralight Flying! readers know Tom Peghiny is the president of Flightstar Sportplanes. His Flightstars have sold around 1,000 units and the business continues steadily. So, why complicate matters with an imported aircraft like the CT? Tom tells the story. "I had been approached by Matthias Betch, [Managing Director] of Flight Design, back in '98 to represent the CT in the U.S. At that time FAA and EAA had been promoting how easy it was to certify an aircraft under Primary Category. As it turned out, Primary Category wasn't really right for certifying aircraft for our sport. We thought we could use the German BFU [ultralight regulation] certificate under Primary Aircraft but this turned out to be an incorrect assumption. "Later, AirCam developer and Rotax guru Phil Lockwood encouraged me to check out the plane then represented by Rob Rollison. Rob and I are good friends and I felt if he were interested there was a good reason. Lockwood is experienced in aircraft design and he liked the packaging of the plane and thought it was the most modern type he'd seen. "The fact that a reputable company, England's premier trike maker Pegasus Aviation, was their distributor in the UK and had certified it to the British BCAR Chapter S airworthiness standard meant a lot as well. The British require periodic inspections of the production facility and their flight test standard in particular is very stringent. "Also, the plane complies with the European noise standards, which is important to me personally. If our sport is to grow more popular and operate near cities and towns we have to make our planes in the U.S. quieter than they are now. "I went to Ukraine to the fabrication factory in June '03 to do a preliminary quality control inspection. I followed the Pegasus inspection paperwork and also used the latest draft of the ASTM quality control standard to evaluate the Ukraine plant. "The factory itself is rustic but the engineering staff at Flight Design Ukraine is young and motivated. The system they use, in my opinion, is valid when comparing it to the requirements. They have a very large staff including 8 engineers. The whole plane is defined in CATIA software, which is the same used by Boeing and Airbus." Peghiny encourages interested pilots to go to the company Website (www.flyflightstar.com) where you can download assembly and parts manual PDF files for the CT. The carbon fiber and Kevlar construction yields a lighter and very strong airframe, which allows a larger useful load, reports the factory. Keeping weight down allows 34 gallons of fuel to be carried for a longer range. Locating the fuel tanks in the wings improves crashworthiness by keeping fuel away from the plane's occupants. It also leaves the rear fuselage open for baggage and proper installation of the optional ballistic parachute system. Delightful and Quiet This latest CT2K was very quiet to those on the ground. This is an effect of European regulations that demand low noise. Those regs specify no more than 55 db at 150 meters (492 feet). This is the noise level of ordinary conversation, and heard from 500 feet away, the CT will not disturb any but the most sensitive neighbors. Its exterior is sleek, and the plane is surprisingly roomy inside. All but the largest Americans should fit well and for average-size persons, the CT is positively cavernous compared to many other light aircraft or ultralights. As you sit in the pilot's seat, you are surrounded by well-designed features that have changed to the better since my first CT flight in '98. In front of you is a large panel that can hold virtually every goody you might want. In the aircraft I evaluated, this panel was clean and neat with only an ASI, altimeter, turn coordination ball, flap indicator, and electronic info system. You don't need any more but those who want more navigation gear, radios, or info systems have room for it. Of course, you still must keep the CT within the proposed 1,232-pound limit of Light-Sport Aircraft. Fortunately, you have plenty of room. The CT carries more than it weighs. Flaps in most ultralights and light aircraft are typically moved mechanically. A lever or handle deploys and retracts. Some have detent positions to help you know what you've deployed; others mark the flap itself and you check visually. The CT2K has an electric system with a clearly visible panel lighting system that shows you their position. The lights come on gradually and you must look to see progress. Some complain this method distracts you during landing and that a system that allows you to merely feel your way to a notch or two is better. Though I never once needed to use trim, it operates through the servo tab for the stabilator that extends on both sides of the rudder. Most aircraft use a trim surface only on one side. A slide-latch feature allows the hand brake lever to secure the brakes. Simply pulling back on the brake lever releases the parking brake. One rather unusual but very clever feature is a fuel valve with a long handle. When you shut off fuel, the handle sits over the electric start ignition switch in such a way that you cannot take off with the fuel valve in the "off" position. The CT2K doors do not open in flight. While Carter told me that he had discussed with Peghiny the result of an in-flight opening, the situation is unlikely as the doors have a solid mechanism to keep them shut after entry. A sliding latch secures the door and, since it sits at your elbow, operators will want to observe its position after bumping it. The CT is actually a four-door airplane. In addition to the two cockpit doors, the design has a very useful baggage area aft of the cabin. The baggage area doors use a pull knob inside the aircraft, which releases a latch. You then lift up on the door to pull a couple of pins out of their detent positions on the lower lip, which subsequently allows the doors to open widely. They are secured with lanyards to prevent dropping as they are no longer attached to the aircraft by hinges or other means. A plastic shield was fitted inside to prevent baggage area contents from conflicting with the control linkages also in this area. What continues to surprise me is that you can put 55 pounds of luggage in each side for a total of 110 pounds of baggage. Of course, you must assure doing so won't put your center of gravity out of envelope, but Flight Design says the CT can fly with just about anything you put inside. With a red, wide-blade prop, flight into some lighting conditions produced a red haze out front. It wasn't a problem but I noticed it. Though the red prop looks sharp on the ground, I think I'd prefer black or gray. I don't want any obstruction in visibility. Fire Up and Fly The CT is nicely equipped. The creativity of airplane designers never fails to impress me. I love the way this aircraft is laid out and how it functions for the pilot. But each pilot is different. My friend and fellow aircraft reviewer, Dave Higdon, didn't care for the way the brakes worked. He's a general aviation pilot and usually focuses on those aircraft so he prefers toe brakes even if they come at the expense of a few extra pounds of hardware. Conversely, I found the hand brake quite useful although you must remove a hand from other activities in order to exert braking. In some situations you might run out of hands, I suppose, though braking is usually not so urgent. You also use one hand on the throttle and the same hand for the brake on the CT and I don't see how you'd ever use both at once. In practice, the hand brake was quite effective in slowing/stopping power. My approaches with Carter observing were done at 60 mph but 50 would be better after you become more familiar with the design. Once so experienced, the slippery machine could be landed even slower, I believe. Such experience would allow you to execute short-field landings. Until then, you'll want to land on longer runways. If I reacted as though I were flying an ultralight, I tended to turn from base to final too soon, leaving me too high in an aircraft that doesn't want to descend. Using typical ultralight technique in this aircraft won't get you down on a short runway. 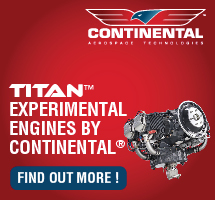 You must plan ahead better when flying the CT2K, which boasts an engine-off glide of 16:1. Putting the flaps down to 30° helps round out your flare. At 40° of flaps I noted significantly more drag so that even with the nose angled sharply down, we still did not tend to accelerate past 50 mph without further pitch control. Therefore, proper use of the flaps will help for short- or soft-field operations. Visibility was very good forward, up and laterally, but as I made a right- hand pattern, flying from the left seat, I had to ask for Carter's help to look back at the runway. In left-hand patterns - assuming you're flying from the left seat - aft visibility to the runway is much better. The CT slipped quite well, but on exiting the slip, the CT tended to accelerate. Carter said he has noticed this on Cessnas as well. Probably this is simply a normal return to flight, but it may be enhanced by a smooth fuselage shape that actually produces some aerodynamic effect when deeply slipped. The flaps move extremely slowly. You must plan ahead for their use due to a perceptible delay in their deployment. Ultralight pilots must keep in mind that the CT isn't an ultralight by American standards and thereby should not be flown like one. All my landings were good, though both Carter and I wondered if my full-stall-landing technique brought the tail too close to the ground. The CT has added some substantial structure under the tail feathers but it has no skid. (The first CT I flew in '98 did not have the vertical area seen on the CT2K.) Zipping About in a CT2K I found it a little tricky to keep the ball centered when doing Dutch rolls or other faster control exercises. However, the CT is better behaved than older Kitfoxes, which slap the ball from side to side on the slightest provocation. Carter actually suspected the ball was sticking a bit. Perhaps so. A Cessna 172 Hawk XP I often fly for BRS had a similar problem where the ball mysteriously froze up inside its curved glass tube. In my Dutch rolls at medium speeds, I had to use rudder pedals heavily to keep the ball in the center. Deflection didn't have to be full, but it was close. The joystick works very nicely. It is comfortable to reach. Roll rates are quite brisk and stick pressures are quite light while still offering some feedback. Carter indicated that the CT2K has some spring dampening to keep controls from being too fast. I can understand this change as the very first CT I flew in '98 had handling that was almost too light and quick for comfort. Steep turns were quite easy to do, even with low power. Practicing these 45°-banked circles again showed me how clean this aircraft is. It slips through the air so easily. Although you have to work rather significantly to get the CT down, the 16:1 glide becomes a safety feature should you have an engine-out landing. Cleanliness of the CT helps it reduce altitude loss with the throttle retarded or the engine at idle. While doing the photo shoot for the cover of Ultralight Flying! we were running 60 mph with the engine only revving in the high 3,000- to low 4,000-rpm range. The day had some thermal lift, but I was still amazed at how the CT does not want to come down from the sky. After tuning by the Flight Design engineers the CT2K will fly precisely at the 132-mph speed limit proposed by FAA for Light-Sport Aircraft. 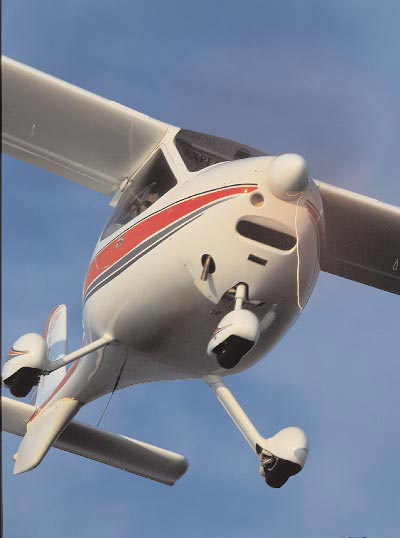 A propeller well matched to the standard 81-hp Rotax 912 engine is the secret (the CT flown for this evaluation was equipped with a 100-hp Rotax 912S). With a different prop, the '98 CT I flew raced along closer to 150 mph. This suggests that some owners might reprop the CT for higher cruise speeds, but of course, doing so would invalidate the certification of the design. Importer Peghiny says, "The cantilevered wing with a sailplane airfoil and camber-changing flaps give the [CT] a wide speed range while using less power. That the plane is quite fast people know, but what impresses me more is its slow speed handling and short-field performance." I discovered the same feeling. The CT flew as nicely low over the fields as slower ultralights. Back at altitude my trials of slow flight got the CT down close to 30 mph, though the ASI is surely not accurate at that speed. Although we were hanging at the edge of stall, the CT still offered good control qualities. These slow speed impressions illustrate that you can approach for landing at 50 mph - in moderate wind conditions - which will help set down the slippery airplane on a shorter runway. In every stall performed, I found a distinct break. It isn't threatening, but the CT always tended to fall toward the left wing. I wasn't disturbed by this though a brand-new pilot might be. Then again, this isn't an airplane for a beginner. The combination of the flat glide and the light composite structure might not make flight training the best role for the CT as repairs could be expensive. Pilots need to understand, the CT is a high-performance aircraft, says Peghiny. It is used for flight training in Europe, but it requires a different technique due to its glide ratio. Peghiny says of his demonstrator CT2K, "Our plane is equipped just right for cross-country flying. 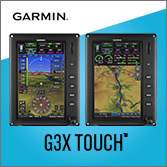 We have a Garmin GPS-Com, a Garmin Mode C transponder, an electric Artificial Horizon, and turn and bank. We also chose a BRS parachute for ours as [the plane is] certified with it in Germany, and I'm used to having them on my planes." Peghiny and Flightstar have long supported the parachutes-for-airplanes concept and this notion has broad appeal. When Peghiny gave his young son Jeff an aerobatic ride in a Citabria as a present in the fall of '03, he was cool with getting upside-down until he went to put the parachute on. "Why am I wearing the chute and not the plane? What a dumb idea, dad," Jeff commented. You and a CT2K? As we begin to greet Light-Sport Aircraft to the ultralight and light airplane community, it is clear that the CT2K may be one of your higher-end choices. With the value of the euro - Europe's new continent-wide currency - and its recent rise against the dollar, the CT's price has risen to around $70,500 for the deluxe CT-Cruiser model. A CT-Sport model, still very well equipped, sells for $64,500 (check with the importer for the last price quote; it changes regularly). With either model though, that's a lot of money. [NOTE: In mid-2006, the rising euro to dollar relationship has priced CT at $92,900...though such a dollar price increase is also affecting other LSA imported from Europe.] Is it worth it? Peghiny explains, "The reasons we chose to become the North American distributor for Flight Design's fixed-wing products are simple. The CT is the most advanced product in this marketplace. Aerodynamically, structurally, and even in ergonomic design, the CT is really unique." Despite the purchase price, the CT is a decent value. The price tag is far lower than any general aviation 2-seater certified under FAR Part 23, tens of thousands less. And it operates at similar (or even greater) speeds while consuming far less fuel. Peghiny recounts an experience of flying the CT2K from Flightstar's home base in Connecticut to Florida. "The 100-hp Rotax 912S is very frugal with fuel. I flew the plane to Sun 'n Fun '03 and back by myself and was really impressed with the comfort and the performance. On the way down I flew from Ellington, Connecticut, to central North Carolina before stopping for fuel, and then went all the rest of the way to Lakeland, Florida on the next leg." Indeed, the CT has a range of 1,000 statute miles non-stop. The CT2K may be the "poster boy" Light-Sport Aircraft and it can deliver some real flying fun. Since it can fly slowly quite well and still zip along at 132 mph, the range of utility is wider than many other ultralight or light aircraft. Is it for you? Well, maybe you, like FAA boss Marion Blakey, ought to get a demonstration flight and see for yourself. As any new rule may arrives, so may quite a number of CT2Ks and you may not want to be left behind. In the fall of ’01, I wrote in Ultralight Flying!, “The CT is the tip of an iceberg, in my opinion.” When I flew that first CT in the USA, few Yankees had seen the aircraft. I felt the German design represented the beginning of a flow of European aircraft coming to America. What a difference a couple of years make! Thanks to adept and steady promotion, Americans may best identify the coming breed of proposed Light-Sport Aircraft by pointing to the Flight Design CT2K. While this means no disrespect to trikes, tube-and-rag ultralights, or powered parachutes, the CT’s unusual, smoothly-contoured shape is now well known to many Americans. 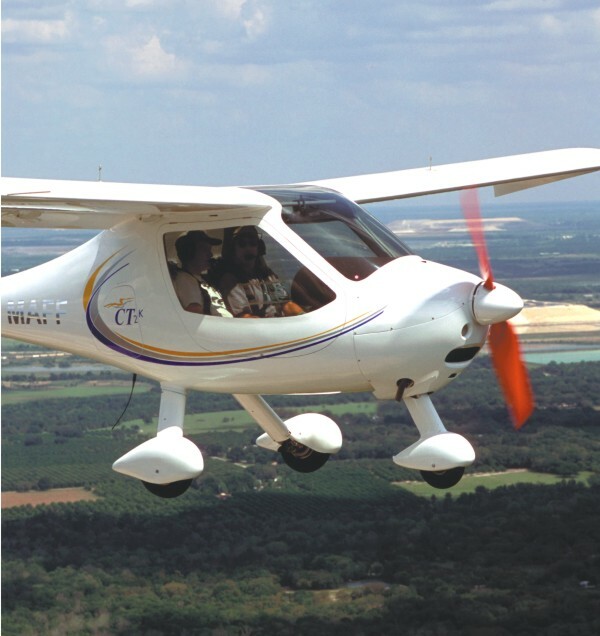 Though the brand is fabricated in the Ukraine and assembled in Germany, it crosses the Atlantic as a prototypical candidate for FAA’s proposed Light-Sport Aircraft category. Rollison Light Sport Aircraft imported the first U.S.-based CT I flew. The design is now brought in by Flightstar Sportplanes and HPower HKS engine honcho Tom Peghiny. I hope you enjoyed your Labor Day holiday. Over this long weekend Randee and I headed to Boston for the EAA Sport Pilot Tour on Sept. 9th. At that event, visitors can complete a survey. 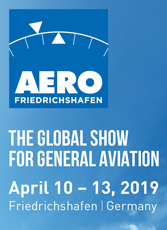 Not only is it a chance to tell the leading seller of LSA what type of aircraft you want, but you can win some handsome prizes. Winners will be randomly chosen from those who participate in the survey. Your odds are very good to win First Prize which is a Garmin 396 worth $2,395. Second prize is a King Schools Sport Pilot Training Course and third prize is a Composiclean composite aircraft cleaning supply set. Taking the survey costs you nothing and you don't have to go to Boston. Just click here and complete 9 multiple choice questions. (You can also add a comment.) *** But, you must act soon. At the end of the Boston Sport Pilot Tour on Sept. 9th, the survey closes. I hope you enjoyed your Labor Day holiday. Over this long weekend Randee and I headed to Boston for the EAA Sport Pilot Tour on Sept. 9th. At that event, visitors can complete a survey. 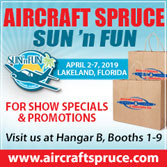 Not only is it a chance to tell the leading seller of LSA what type of aircraft you want, but you can win some handsome prizes. Winners will be randomly chosen from those who participate in the survey. Your odds are very good to win First Prize which is a Garmin 396 worth $2,395. Second prize is a King Schools Sport Pilot Training Course and third prize is a Composiclean composite aircraft cleaning supply set. Taking the survey costs you nothing and you don’t have to go to Boston. Just click here and complete 9 multiple choice questions. (You can also add a comment.) *** But, you must act soon. 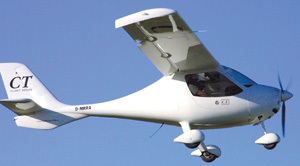 DELUXE & CERTIFIED - The Pegasus Quantum has earned certification in England for microlights. It may be a special rule just for microlights, but it's very demanding. 912 POWER - Only a few years ago, putting a 80-hp Rotax 912 on a trike seemed absurd. Now, it's a common product for several producers but Pegasus was a leader in its development. SMILIN' FLYER - Major Allistair Wilson gives instruction in the Quantum 912 and is experienced with the fixed-wing Flight Design CT as well, flying both for Rollison Airplane Company at airshows. NUMBER 100 - At the base of the mast fairing you see a special sticker that appears only on this Quantum 912. It is No. 100 off the Pegasus Aviation production line and was sold to U.S. importer Rollison Airplane Company. TUCKED AWAY - Pegasus hides the battery under the instrument panel in a location that won't interfere with flying. The foreground foot pedals are for the rear seat occupant, who may be an instructor. SIMPLE PANEL - The beauty of electronic information systems (like the American EIS) is that they take up less space, leaving an uncluttered look or room for more goodies. RIGHT SIDE - The CT's exterior is nothing if not smooth and shapely. The doors are large and open wide, helping entry and exit for all pilots. INSTRUMENT PANEL - The CT displayed an uncluttered instrument panel that leaves room for a few more gauges if you like. The FLYdat panel is roughly similar to the U.S. EIS. SKY LIGHT - Even with its main spar running overhead, the CT offers a skylight that illuminates the cabin and provides extra visibility in turns or when checking for traffic. FLOOR STASH - The CT is as ingenious as automobiles that have employed empty spaces for useful purposes. This spot under your calves can be accessed in flight. CARGO HOLD - Not just on the pilot's side, each occupant can place some items for use after landing. The cargo areas are approved for 55 pounds per side. FUEL DETAIL - Though it's a minor part, the detail of machining evident on this fuel cap and vent shows workmanship typical of the $60,000 CT. This month I wrote a pilot's report about two widely different aircraft, both of which are imported by Rollison Airplane Company. Here's how I handled it. Every "Ultralight Flying! Pilot's Report" has common elements: a main article, photos and photo legends, specifications, and our exclusive "Report Card." Because the two subject flying machines are so different this month, I've prepared a "Report Card" for each aircraft. I did the same for specifications as the standard and optional features obviously differ too much for grouping. In the main article, I take alternate looks at the two flying machines as a way to observe their differences, but further how they each have their benefits. I also selected more photos - even though Ultralight Flying! reports regularly present many photos of ultralights being reviewed as readers often say that photos are a key informative element. Because reviewing two different craft makes for a longer pilot report, I've somewhat abbreviated both the main article and the twin "Report Cards." Quite a few general aviation pilots recognize that ultralights offer a different way to fly| and that's precisely what they like about them. I hope readers will see the same logic in this tale of two different flying machines. Some pilots don't have any trouble switching from a weight-shift trike to a stick-controlled fixed-wing. Major Allistair Wilson is one of them. I happen to be another. You could be, too (if you keep an open mind, at least). But certainly, many pilots prefer sticking with something they know. I can even see a strong safety argument for not experimenting too much. I recently went flying in the top-of-the-line Pegasus Quantum 912 with Allistair Wilson. The Quantum isn't just any trike. Its 80-hp Rotax 912 power, compliance with demanding English certification, and refined ways set the Quantum 912 apart from many other trikes. But even among Quantum 912s, this one was special. It was Number 100 off the Pegasus Aviation production line. A special label identifies the machine along with its customer, U.S. importer Rollison Airplane Company. Wilson, a major with the Royal Irish Regiment in Northern Ireland, holds British certification as a microlight instructor and is an aircraft inspector plus a designated representative for FAI record attempts. He flew with me in the Quantum 912 trike and the fixed-wing Flight Design CT, which I first flew in southern France with Pascal Chanéau in May 1999 while attending the World of Aviation (Mondial de l'Aviation) airshow. What a spectacular place to experience the French-registered #F-JEIC fixed-wing CT. The surroundings are called les Hautes Alps, the High Alps. What fun! And what a flight. When I again flew the CT in the summer of 2001, it was the first one imported to America. Rollison Airplane Company is the U.S. importer for both the Pegasus 912 and the Flight Design CT. The two CTs weren't identically equipped. For one example, Chanéau's machine had a beautiful Becker-brand radio permanently installed. The approximately 2-inch face took up little panel real estate and worked wonderfully, though Chanéau admits it's expensive at about 14,000 French francs (well over $2,000 at the time of the flight). A handheld for $500 looks pretty good in comparison. Standout Features One inquiry for a trike built with the 80-hp Rotax 912 led to another and turned into a product line with steady sales despite a price tag of $30,000. Even Pegasus was surprised. 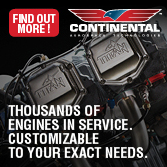 Now other trike brands have added the big 4-cylinder, 4-stroke engine to their lineups. Clearly, some pilots like the idea of a powerful 4-stroke engine to power their trike. Wilson admitted that the 80-hp 912 is a complicated engine with many parts, far more so than the simpler and popular 50-hp Rotax 503. However, he thinks he won't have to replace those parts very often. Wilson maintains that if you change the oil and change the spark plugs faithfully at 200-hour intervals, the Rotax 912 will run "pretty much forever." Judging from the number of 912 installations popping up everywhere, his enthusiasm appears well supported. You don't have to spend $30,000 to get a Pegasus trike. Ultralight pilots should remember that Rollison Airplane Company commissioned Pegasus to make an "American-style trike." The Quantum 503 Basic starts at only $13,495 while retaining the certified quality. Besides the lower cost engine, the Basic sheds the nose fairing and other appendages. In all, Pegasus makes seven different models of the Quantum, based mainly on engine differences but also with different appointments. Using otherwise standard trike construction, Pegasus adds huge square tubing on the mast and keel (fore/aft tube joining nosewheel to mast). One distinguishing quality is the gas-strut-relieved lift-up system. By assisting your effort to raise the beefy wing above the trike carriage, a burdensome task is made more pleasant and you can do it without help. To Americans, the CT's cantilevered, all fiberglass (and carbon fiber) structure is somewhat foreign. More correctly, it isn't a common building medium among ultralighters though fiberglass and carbon are widely used on higher-end American homebuilt kits like the Lancair, Pulsar, and Velocity. The CT is the tip of an iceberg, in my opinion. At a German airshow last April, I saw literally dozens of aircraft as beautiful as the CT. None would qualify as ultralights in the U.S., though that's what they're commonly known as in Europe. In truth, I'd say the European designers have bridged a gap between American homebuilts and ultralights. Many of those Euro-ultralights (microlights) have already passed some level of certification and are being built ready-to-fly. Some American companies can compete, but most are some steps behind the Europeans. Resisting this possible onslaught of European "ultralights" are established American ultralight manufacturers. Given the wide differences of price - $50,000 and more for European models to $12,000 to $25,000 for Yankee ultralights - the future for beautiful machines like the CT succeeding in America is hard to predict. My general flight experience with both CTs gave the impression of a very stout aircraft, even when one strong thermal threw me against the shoulder straps. That's only intuitive information, but with about 180 CTs flying worldwide, the safety record appears good. Before flight in the Quantum 912, Wilson likes to wait until oil temperature is up to 120° at which time the oil pressure will drop, a normal action, he reports. By comparison (in a 912-equipped CT), Chanéau did likewise, waiting for a 50° temp before takeoff. Since this is 122° F, they must both be reading the same manual. Trim on the Quantum 912 was a very effective device that did not require much movement of the knob. Wilson observes that if you push the control bar where you want it first and then move the trim wheel, less muscular effort is required for the adjustment. The result is similar to any general aviation trim as it relieves control pressures. The trim system moved quite quickly when I twisted the knob; few twists were needed from end to end. Kill switches and mag switches go forward for "off" and backward for "on," somewhat counterintuitively. More often, switches are wired forward for "go" and backward for "off." However, like everything on the highly polished Quantum 912, all switches are clearly labeled. You just have to read them. The Quantum's choke is on the underside of the throttle and moves forward for full activation (so at least the counterintuitive nature of the controls is consistently applied). Wilson's starting sequence was: master switch on, ignition on, followed by a push of a starter button to the left of the master switch. Of course, the fixed-wing CT is a different flying animal with different systems. Flaps have positions of reflex as well as positions of flaps down. Reflex, rare though not unheard of on American designs, can allow improved performance at cruise speeds. Rob Rollison of Rollison Airplane Company observes the CT has flaps settings from -120 to +40°. Located in a center console, the CT has multiple levers: from right to left, hand brake with parking brake lock, throttle, a starter lever, and trim. At the back of the console at the rear cabin bulkhead, you find the ballistic parachute handle often supplied on CTs. In fact, the CT is distinguished in BRS history from the documented use of a BRS as save number 100. This high-speed (nearly 190 mph) deployment occurred when a test pilot did his job of pushing the limits. Up front in the instrument panel the CT comes with a nice array: airspeed indicator, altimeter, vertical speed indicator, slip indicator, FlyDat engine panel, and round intercom unit (the last two optional). Above, on the spar carry-through in the cabin was mounted a compass. Fuel quantity could be seen through curved clear tubing at the wing root. Creature Comfort Trike looks don't differ greatly but among trike cockpits, Pegasus certainly has gone the extra mile to provide for a cross-country environment. Nonetheless, that doesn't change the out-in-the-open feel that nearly all trikes offer. If you like that - as I do - you'll love the Quantum. The Flight Design CT has very easy entry. The doors swing up out of your way and clasp on a secure fitting fastened to the bottom of the wing. Facilitating entry, the door sill is level and sturdy enough to use during entry and exit. The doors hold open with the same steel latch mechanism as holds the door closed in flight. You reach out to the back corner of the door to release the latch, though I couldn't do so while strapped in place. Once those big doors are closed, the very wide cabin becomes obvious, offering 49 inches of lateral room. Three to 4 inches separated a lean Chanéau and me in France though less room remained between a hefty Wilson and me. The CT can carry 25 kg (55 pounds) of baggage on each side behind the pilot and passenger. Dual doors access the area. No cargo tie-downs are factory installed but you could add them. An interior floor compartment on each side offers a small but handy area for stuff you may want in flight - but don't want flying around the cockpit otherwise. Flight Design claims you can carry 300 kg (660 pounds) inside the plane. I didn't get to examine weight-and-balance documents to prove that claim, but no doubt exists that the CT is a very spacious aircraft. The CT has in-flight adjustable seats for the fore and aft. You pull a wire to allow repositioning within a several inch range. The seat back also adjusts via a webbing strap but this you'd want to do on the ground. Whew! The CT had no swivel air ports like many American kits, but it did have a knob for cabin ventilation. Europe isn't as hot as the U.S., so ventilation of this kind will have to come with Rollison's input, I believe. Fairly small skylights appeared in between the nicely finished spar carry-through. Despite their smaller size - owing to the cantilevered construction - the skylights aided steeply banked turns. As on most trikes, the Quantum 912's hand throttle overrides the foot throttle. A nosewheel brake has a parking brake feature; many so-equipped trike pilots use theirs during the wing setup process. The Quantum's fully wrapped cockpit and full floor prevented Florida sand from being blown up into my face on takeoff, a pleasant change from some ultralight designs. However, the Quantum uses no nosewheel damper, and consequently, felt almost too fast or responsive for my preference. However, I touched down rather crosswind once and the tri-gear stabilizing feature works just as it is supposed to do. The CT has a very high ground clearance, which is valued by many pilots, though usually the reason is better bush operations. Chanéau recommended an 80 km/h (50 mph) approach speed which actually puts the speedy CT right there with many ultralights. The phrase "Fifty is Nifty" for landing speeds works well for the CT. Controlling and Controls Besides the open versus closed cockpit, the obvious big difference between our two flying machines reviewed this month is their control systems. Handling qualities have been well documented for trikes. The Pegasus Quantum remains in the category of wings intended for cross-country flying over maneuvering; handling seems stiff to my muscles. However, it is consequently easier to fly around the world as Brian Milton did in a Quantum in 1998 (see "Milton and Microlight Meet the Challenge," December '98 and January '99, Ultralight Flying! magazine). Wilson reported experimenting with loosening the inner rib tensions and tightening the outer ones on the Quantum 912 wing. He believed this enhanced handling within the range of what British certification permits. Chanéau and I got the CT down to 60 km/h indicated (37 mph) in slow flight, at which times the controls were sluggish but still workable. The Quantum was much more comfortable at this speed, showing the flight mission differences of the two aircraft. The French CT I flew in 1999 proved to very light in pitch, enough that it took familiarization. The CT I flew this summer (after collaboration and changes involving Dr. Billy Brooks of Pegasus Aviation) seemed to have lost this edge. In fact, I believe handling is somewhat tamer than the earlier model I flew. Indeed, on initiation of turns in the French-registered CT, I had to use a little high side rudder pedal movement to coordinate the turn entry. Once in the turn it self-coordinated nicely. Again, the CT model I flew this summer seemed to show better in-turn behavior. Other changes were made between my first and second CT flights. In the French aircraft, flaps were manual and had five detent positions (-4°, -8°, +15°, +20°, and +26°). The CT I flew this summer in America has electric flaps with an indicator light showing -12°, +15°, +30°, and +40°. Because they are electric, no detents keep you from setting an infinite adjustment to your liking. Flying the Quantum trike, you can cruise in the 60s comfortably or dial in trim and pull in on the bar to hold better than an indicated 80 mph. Glide angle also seemed to be quite strong based on a casual evaluation. Slow speeds got down in to the high 30s (mph). The Quantum 912 could sustain altitude at 4,200 rpm at close to gross weight. As big trikes go, this number sounds low, though remember we are discussing a 4-stroke 912. The Quantum 912 has a 13-gallon fuel tank on it allowing about 3 hours of operation with two aboard. You'll get significantly more endurance when flying solo, Wilson says. In the CT, the top speed I saw was about 230 km/h (144 mph) but this was on an engine that did not rev up as high as it should, according to Chanéau. It has more speed potential, he said, but the prop choice is critical. After installing a 3-blade IvoProp propeller, "It just hit a wall at around 130 mph," Rollison says. The 2-blade Neuform prop that is popular in Europe will allow about 140 mph according to tests in England after a static port was fitted. "But it's a 120-mph cruiser," confirms Rollison. Indeed it slips through the air easily it feels, with lower power settings and lower noise. Wheel fairings are included which help keep the CT clean. On approach to landing with the engine at idle thrust, I was very impressed with the glide angle. Stall never resulted in the Quantum 912 trike; we merely entered a mush even with the bar full out to the forward support tube. Considering this quality, Wilson described his special technique should you lose the engine. He trains students to push the bar out all the way feeling this is the best sink position or best glide to get you to an emergency field. Once you have your field made, you can pull in, regain some speed, and handle the landing as ordinary. I tried it and it appeared to produce a sustainable attitude as he promised. I can complain that the deluxe Quantum was not fitted with an emergency parachute, though Rollison is a big supporter and seller of the devices. Certified or not, I can make mistakes and like having the option. The CT was so equipped, but the pull handle was not in an optimal location in my mind (and I am employed by BRS, so I have some idea). The problem relates to the ease with which you can twist and reach far enough to grab a handle located on the back cabin bulkhead. Still, I was pleased it had been fitted. Flex or Fixed for You? If you're like me you can't afford all the toys you'd like. If I won the lottery, I'd buy several fine choices. Ah, but most of us have to settle. The beauty of the choices presented in this combination flight report is that you are unlikely to want them both. (I would, but many ultralight pilots are focused on either 3-axis or weight-shift.) Both models represent high-end purchases that require a fair chunk of your buying cash. But what machines you'll have if you take the leap. The Quantum 912 sells for around $30,000, slightly less if you take it without the few options left to buy. Add all the goodies including a Pegasus factory-approved BRS parachute installation and you'll push toward $33,000. When grappling with the price, you must factor in the fully-built status of the Quantum 912 and assign value to its certification. Since it has a highly finished look and special features like the lift-strut, your money may be well spent. It should last many years with good maintenance, and you can replace the sail after a few years to give the machine a new life. Equipped like it is, the Quantum 912 is a cross-country cruiser. It has amply demonstrated this by being the first microlight to be flown around the world in 1998. It also won the trike world championships in 1996 and 1999. For those with a few less dollars, Pegasus and importer Rollison Airplane Company have several other choices for you, stepping down in increments to as little as $16,500 and $13,500 for those who don't need or want the big engine and fancy features. It won't be so easy to sharply cut the cost of the CT, but that aircraft is not aimed at the ultralight market unless producer Flight Design aggressively pursues the idea of selling it as a kit. In European and other markets it can be sold ready-to-fly so a kit is not presently available. Deliveries will be slow the first year as the East European factory gears up. The "deluxe" version of the CT, as flown, comes with droop tips, the FlyDat digital instrument, gear leg fairings, cabin heater, parking brake, door locks, leather seats, strobe and position lights, and a Rotax 912 clutch. Our test model had a ballistic parachute, leather seats, and a special IvoProp propeller. To have all of this, plan to spend about $63,000. Fortunately for those not in the $60,000+ price range, the "standard" model CT is no slouch, and most ultralight enthusiasts would love its equipment list. You can lower your investment by about $10,000 for the standard CT still equipped with a parachute. These are two delicious choices and I wish you luck trying to decide which you might like better. This month I wrote a pilot’s report about two widely different aircraft, both of which are imported by Rollison Airplane Company. Here’s how I handled it. Every “Ultralight Flying! Pilot’s Report” has common elements: a main article, photos and photo legends, specifications, and our exclusive “Report Card.” Because the two subject flying machines are so different this month, I’ve prepared a “Report Card” for each aircraft. I did the same for specifications as the standard and optional features obviously differ too much for grouping. In the main article, I take alternate looks at the two flying machines as a way to observe their differences, but further how they each have their benefits. I also selected more photos – even though Ultralight Flying! reports regularly present many photos of ultralights being reviewed as readers often say that photos are a key informative element. Because reviewing two different craft makes for a longer pilot report, I’ve somewhat abbreviated both the main article and the twin “Report Cards.” Quite a few general aviation pilots recognize that ultralights offer a different way to fly| and that’s precisely what they like about them.